Four skyscrapers are expected to change the Brisbane skyline, as we know it, resulting in a positive outlook for a robust economy. Brisbane’s skyline is about to take on a different outline as four new skyscrapers are expected to erect in the city in the next four years. A skyscraper doesn’t just entail a changing skyline, it is also indicative of the economic growth of a city. And every skyscraper erected connotes employment and business opportunities. 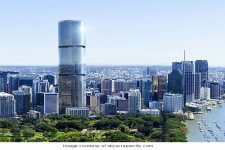 From late last year to early 2015, four huge skyscraper projects have been given the approval to start construction in Brisbane. The Brisbane Skytower is expected to be the tallest building in the Central Business District, or the entire city for that matter. Expected to stand tall at 270 metres, the 90-storey residential tower is proposed to house 1,119 apartments. Development of 1 William Street, a 46-storey building for public and private offices, is well on its way. Having commenced project work here ourselves, it is a magnificent site with river views. While the Brisbane Skytower is envisioned to be the tallest building in Brisbane, it’s contender will be 300 George Street, a three-building development on the former site of Law Courts. The tallest building from the trio will be for residential purposes, with an expected height of 270 metres, similar to the Brisbane Skytower. Consolidated Properties is looking at building a 40-level residential tower on 550 Queen Street. The $200-million building has an expected height of 134 metres and has a breathtaking view of the Story Bridge and Brisbane River.